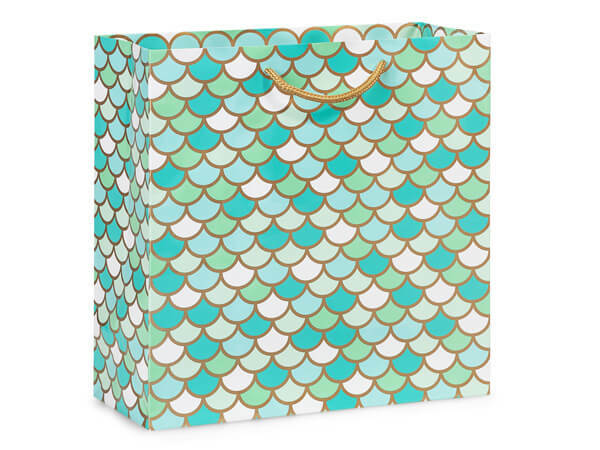 Filly size Coastal Paradise Gift Bags have a beautiful blue, green and gold mermaid fish scale pattern. These bags are sold in a carton of 100. These matte laminated bags are made of deluxe heavy weight paper with cord handles.